For the first time, I experimented with ambulatory performanceâ��� spectators moved to 12 different environments covering La MaMa's large Annex Theater, its lobby, and the stairway leading up to the theatre. The play was about the history of medicine. As spectators moved, they traveled in time from the past to the present. 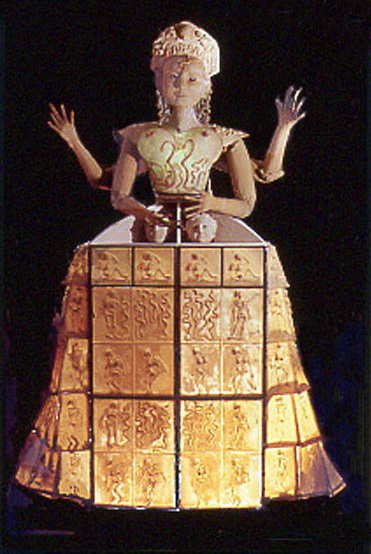 The play used 22 performers and 100 puppets. The score was by Virgil Moorefield. In addition to my own writing,I used texts by Greg Armknecht, Art Borreca, Erik Ehn, Diana Son, Maggie Conroy, Jack Shamblin, and Jamie Leo. 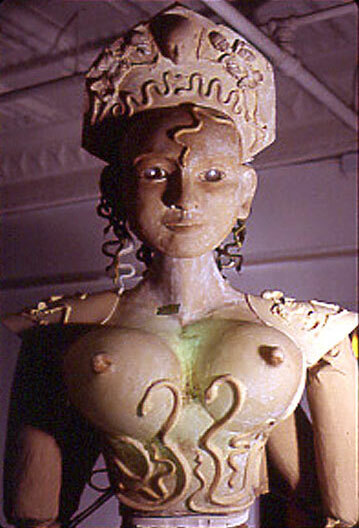 The first character the audience saw was a 12-foot tall Medusa, the ancient goddess of medicine. Her skirt opened and each visitor walked through her body to the next environment. Prologue song: He who takes the blood from the veins of my left hand can heal the sick and raise the dead. He who takes the blood from the veins of my right can cause disease and bring destruction. few moments longer so that the astrological moment will be more auspicious. The laboring woman keeps shouting back, "So what! Who cares!" 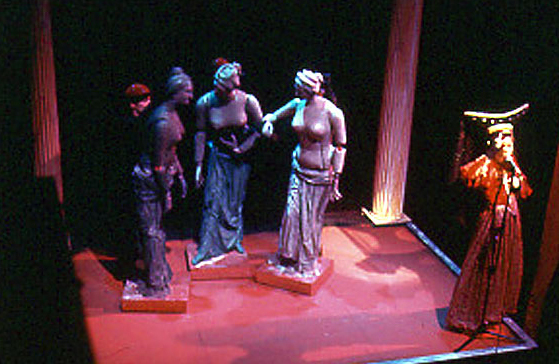 "Gyno gals" is a song about the medical ideas of Galen, a famous physician in ancient Greece. Galen believed women were really men whose genitalia hadn't really fully emerged out of their bodies.